?Hello ~ me again! 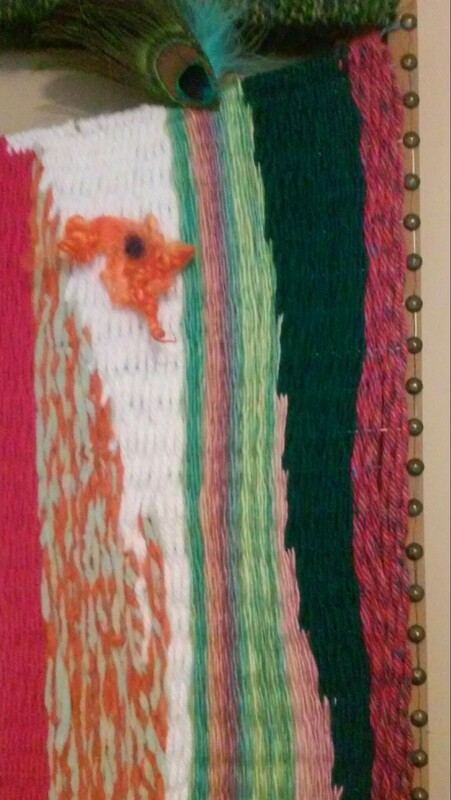 🙂 I’m very happy to report that my weaving (the one on the canvas frame – see previous post) is finished and hanging on my bedroom wall. The finishing touches took a little longer than expected. 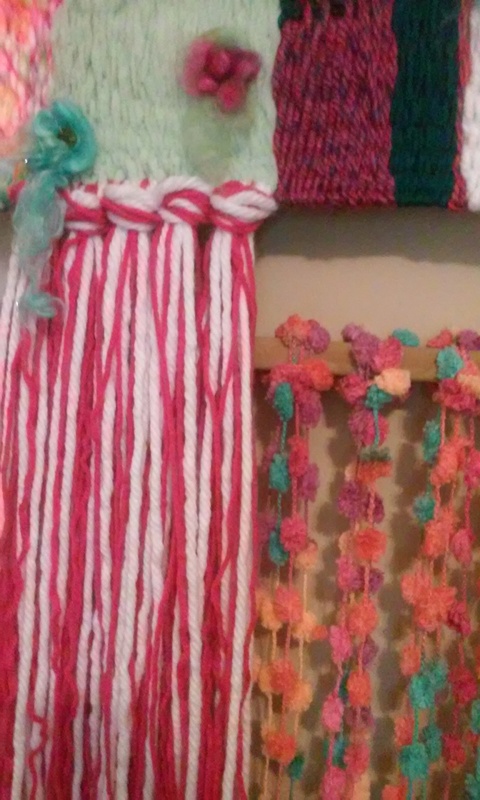 I added the pompom-fringe (my favorite part! – I told you I love fringe! I think I’m a little obsessed with it! 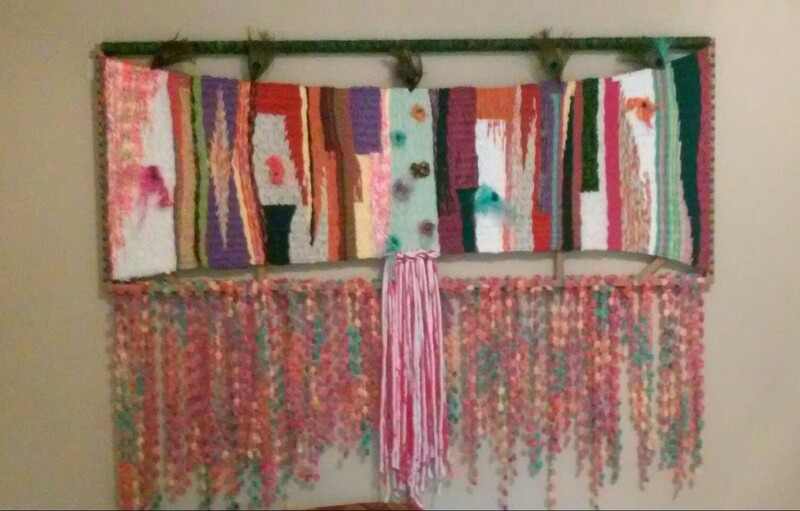 😉 ) and wrapped the top bar in yarn. Now…without further ado ….here she is! Did I tell you that it’s 2′ x 5′? Here are some detail photos…. That’s it for today! Please come back soon for more creative news! Tata for now! Thanks for reading!